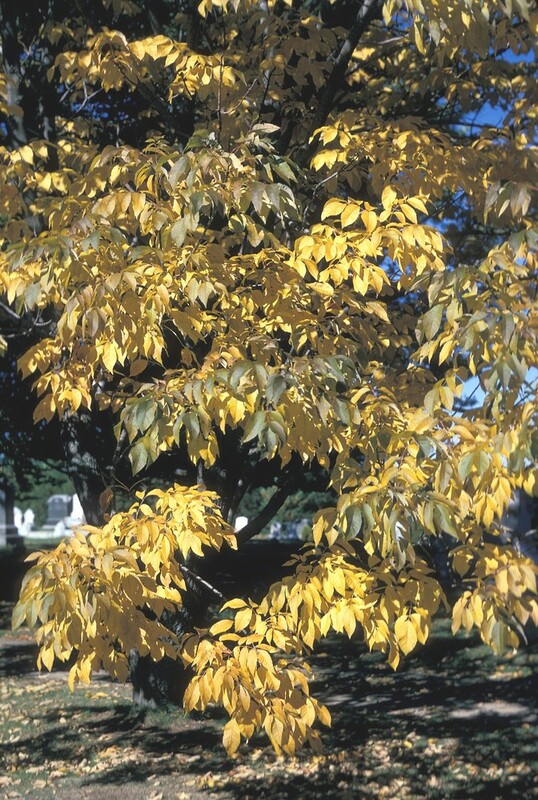 White ash is a graceful and common woodland tree notable for its uniformly fissured, light-gray bark, compound leaves, and winged fruits. 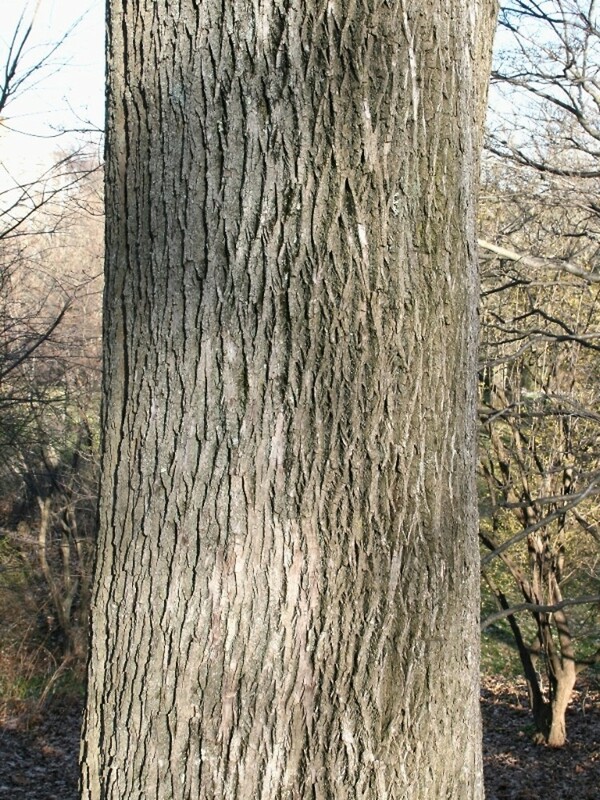 The tough, elastic, light wood of white ash makes it the top choice for producing baseball bats, tennis racquets, polo mallets, and other sporting goods -- even bowling alley floors. 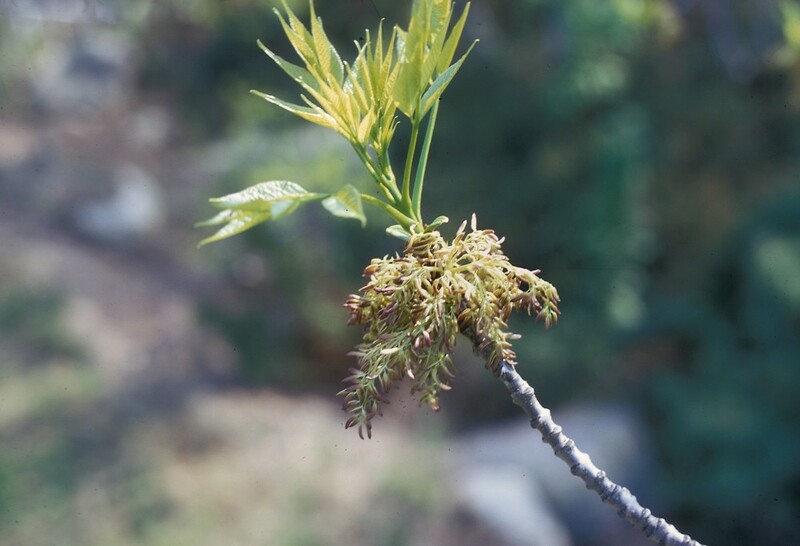 leaf blades with 7-13 unstalked leaflets and terminal winter bud separated from uppermost lateral buds (vs. F. americana, with leaf blades with 5-9 stalked leaflets and terminal winter bud adjacent to uppermost lateral buds). 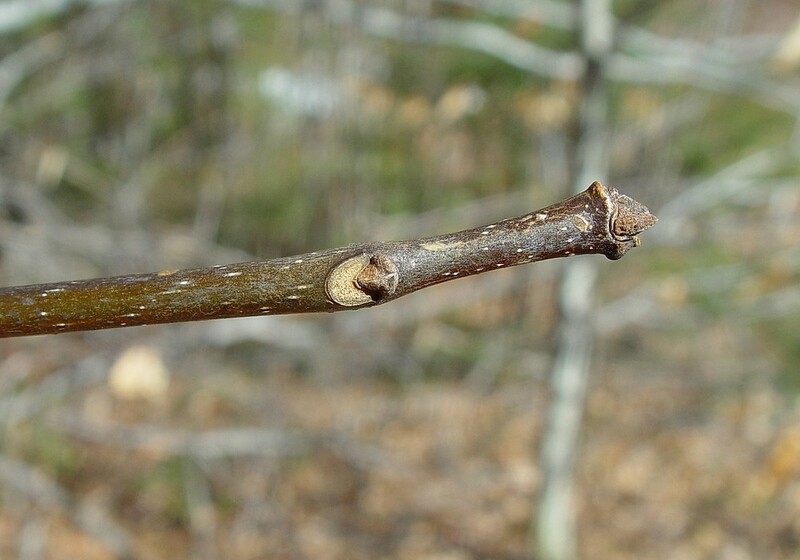 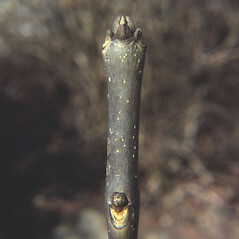 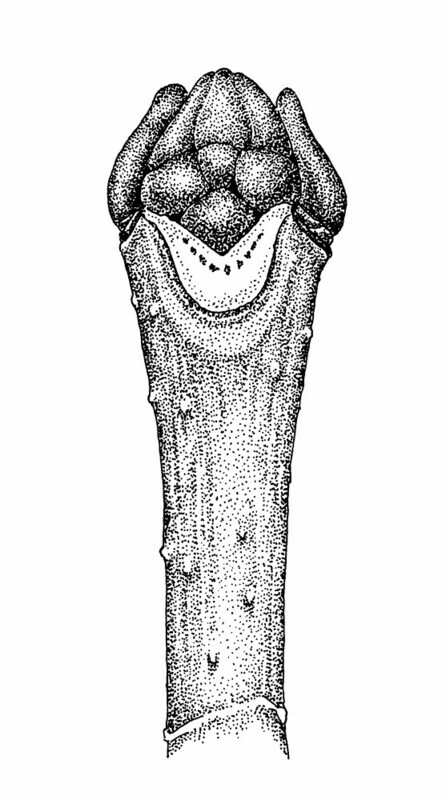 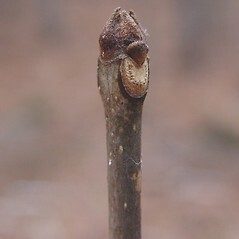 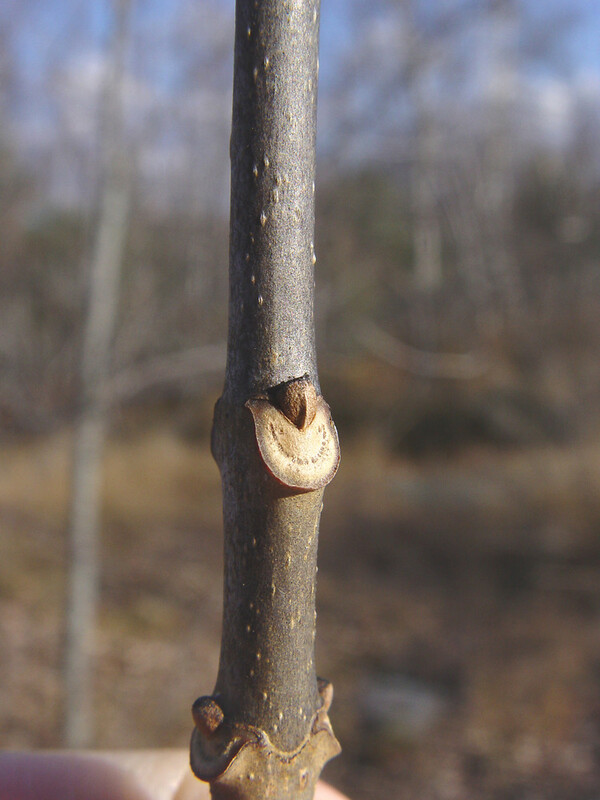 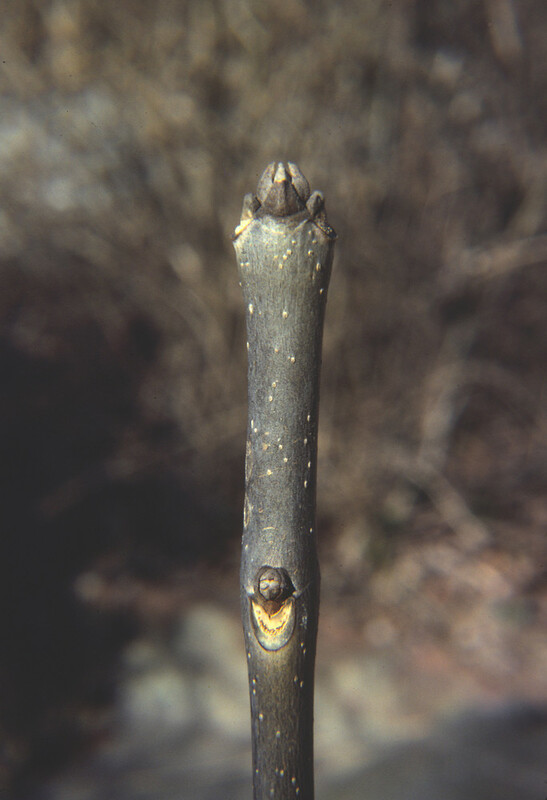 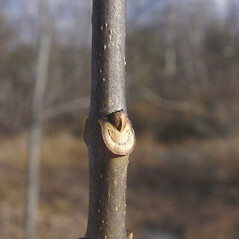 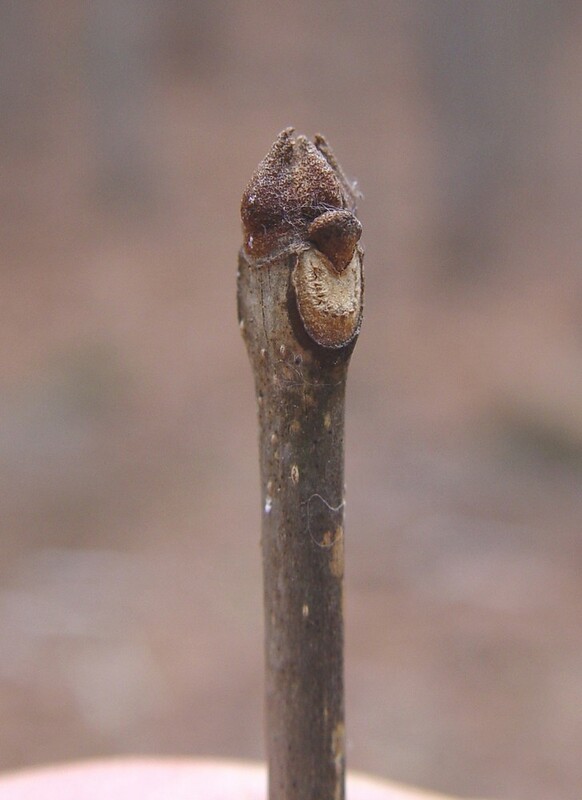 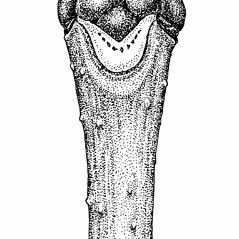 branchlets gray-brown, hairy, terminal winter bud pointed at apex, and leaf scar straight or slightly concave on distal margin (vs. F. americana, with branchlets brown to blue-brown, without hairs, terminal winter bud rounded at the apex, and leaf scar deeply concave on distal margin). 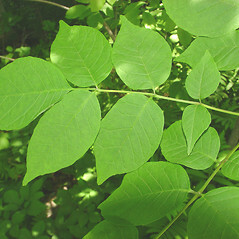 leaves alternate, with 11-41 leaflets, and fruit with the seed +/- centered within the wing (vs. F. americana, with leaves opposite, with 5-9 leaflets, and fruit with the seed positioned at one end of the wing). 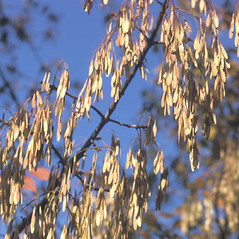 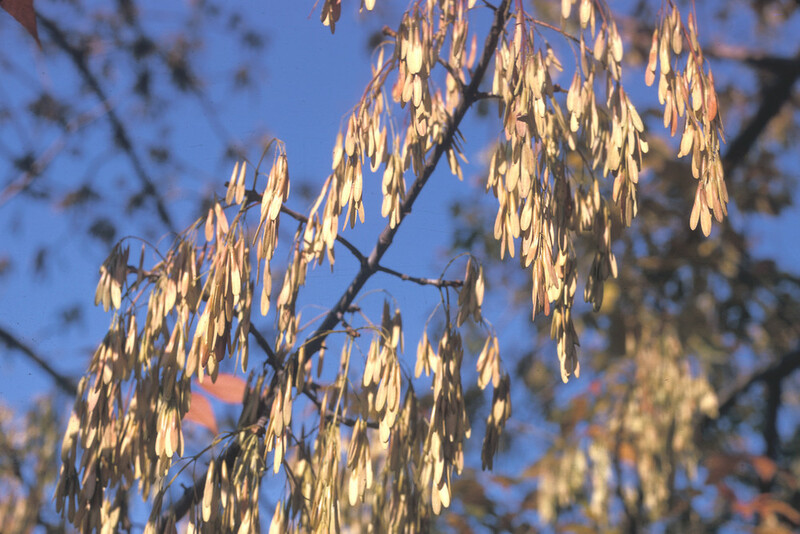 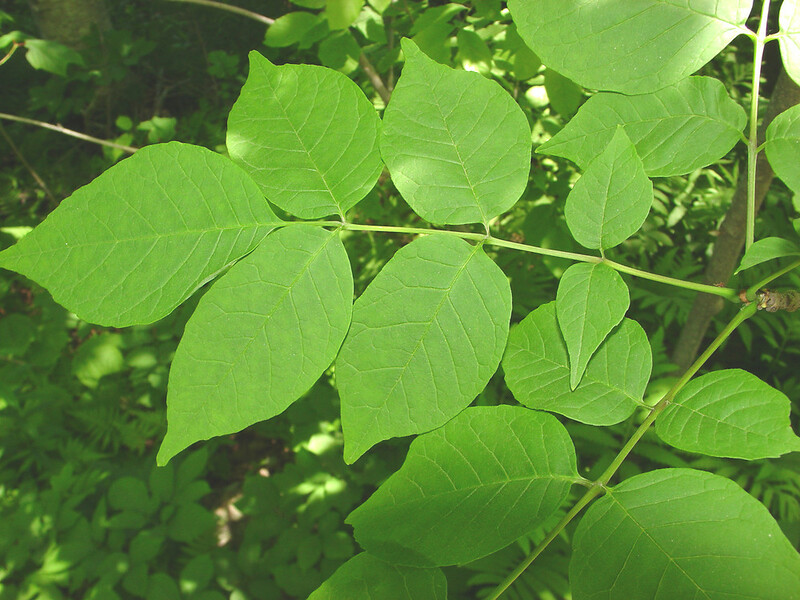 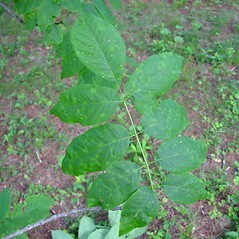 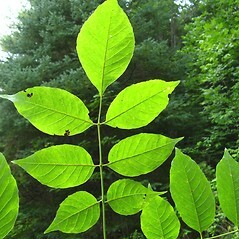 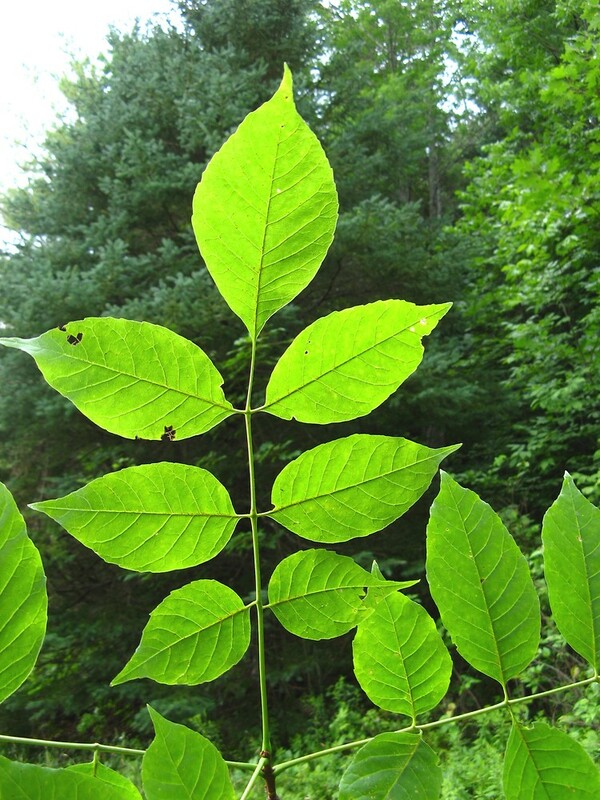 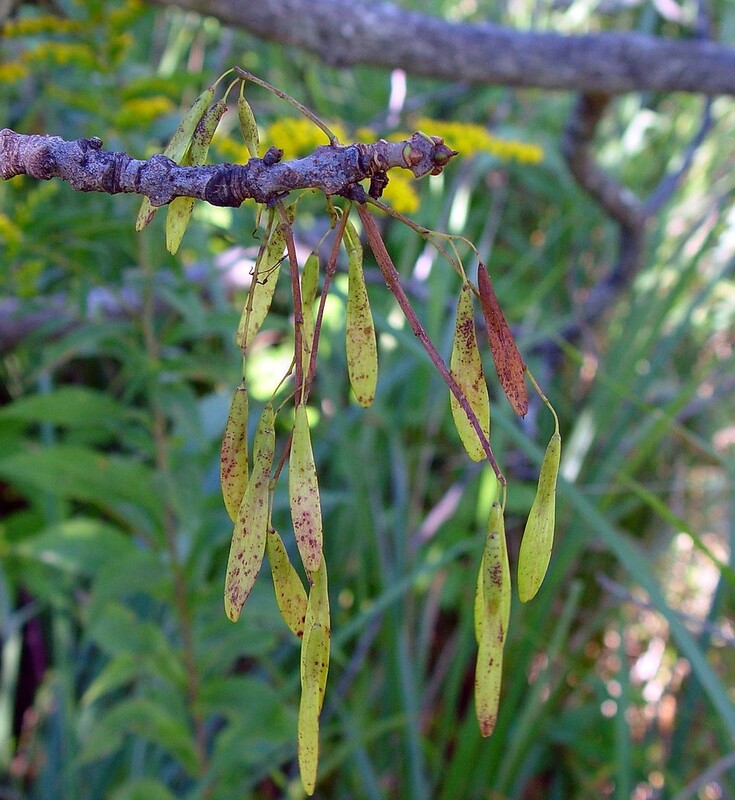 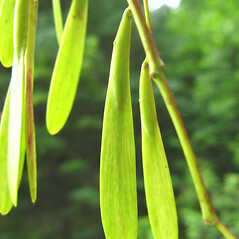 Fraxinus americana var. 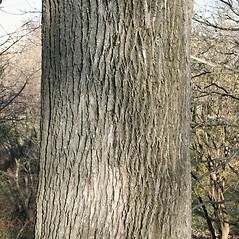 biltmoreana (Beadle) J. Wright ex Fern. 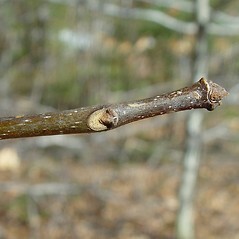 white ash. 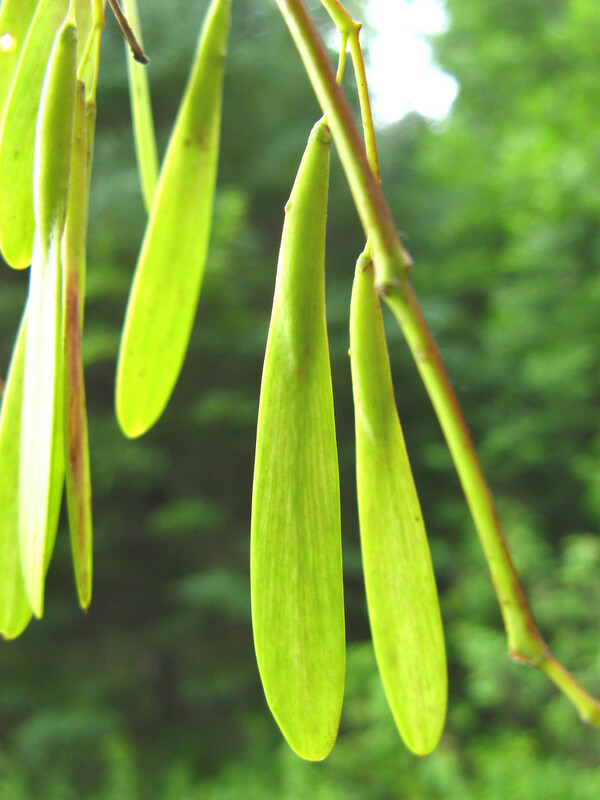 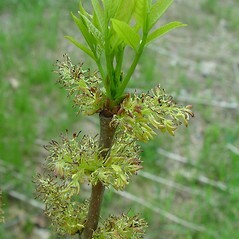 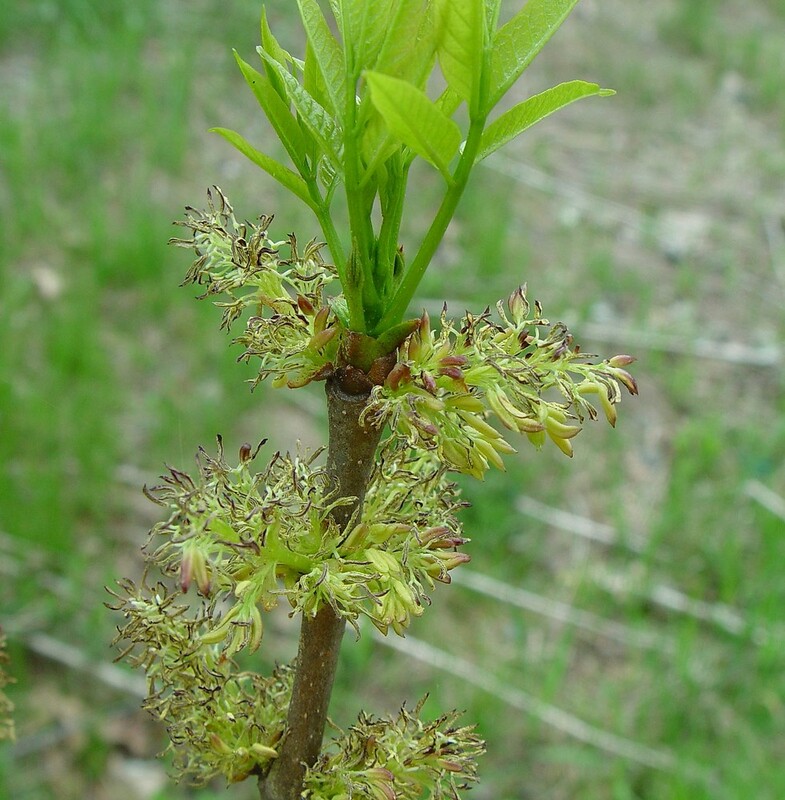 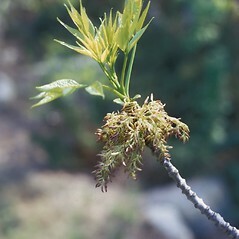 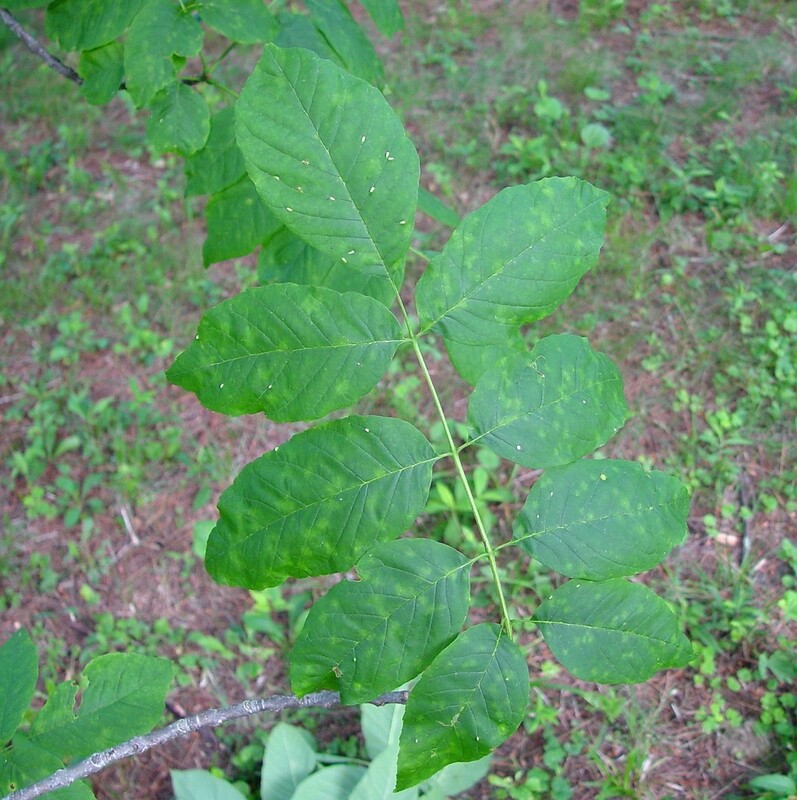 Fraxinus americana L. var. 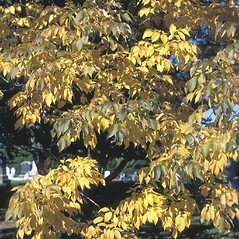 biltmoreana (Beadle) J. Wright ex Fern. 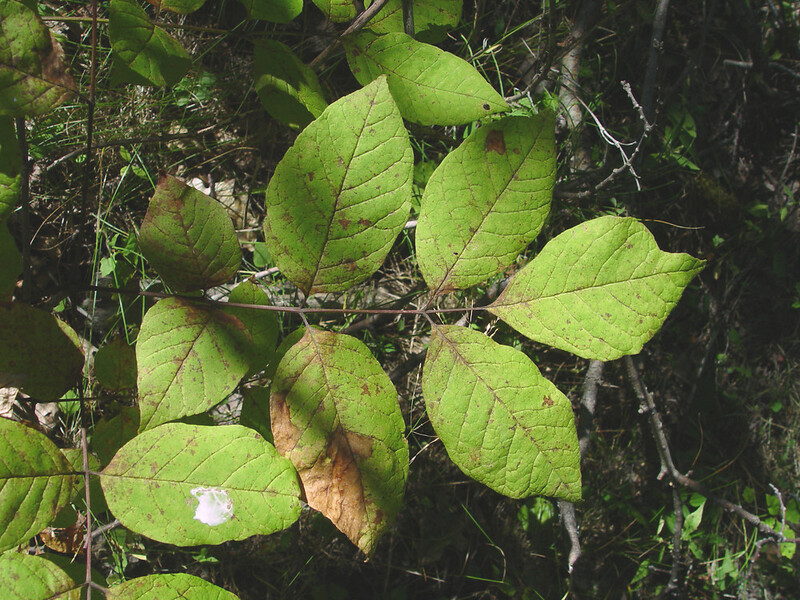 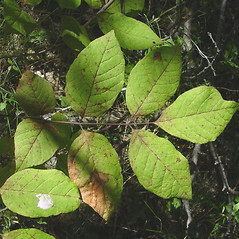 ; F. americana L. var. 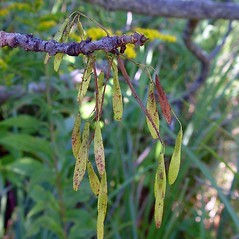 microcarpa Gray; F. biltmoreana Beadle • CT, MA, ME, NH, RI, VT; nearly throughout. 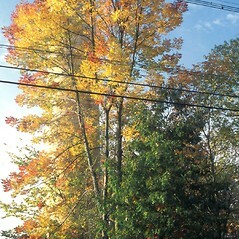 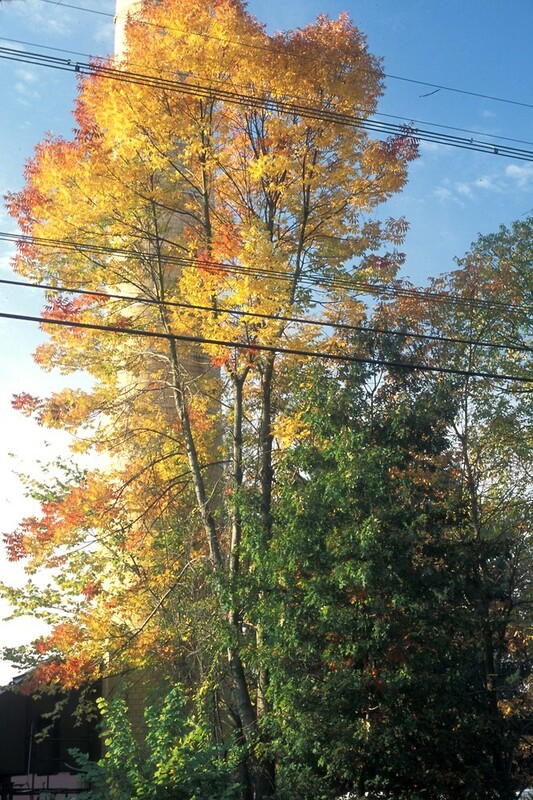 Upland, deciduous and mixed evergreen-deciduous forests, riparian forests.